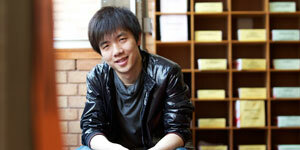 Dr Nicolas Wu is interested in the theory and application of Programming Languages. He is an expert in the field of Functional Programming, with a specialist knowledge of recursion schemes and effect handlers. Nicolas Wu obtained his doctorate in Computer Science from the University of Oxford, where he also studied as an undergraduate at Brasenose College. He is an experienced programmer, and spent several years in industry working with Haskell, C++, and Java, before finally settling in academia as a researcher in the field of functional programming. His research interests are centred around programming languages, where he has made advances in applications of category theory for giving the semantics of programs and algorithms. In particular, his recent work has been focused on showing the connections between domain specific languages, effect handlers, and structured recursion schemes. While working as a researcher at Oxford, Nicolas was also a lecturer and director of studies at several colleges, where he taught all of the first and core second year courses. 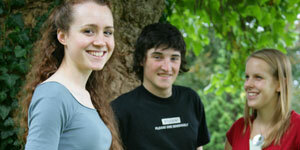 He is now a lecturer at the University of Bristol. Hinze, R & Wu, N, 2013, Squiggoling with Bialgebras: Recursion Schemes from Comonads Revisited. in: Een Lawine van Ontwortelde Bomen: Liber amicorum voor Doaitse Swierstra. Edit this profile If you are Dr Nicolas Wu, you can edit this page. Login required.